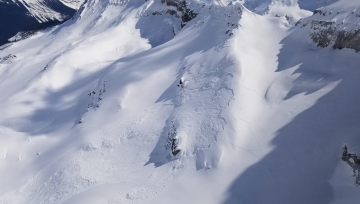 Avalanche Canada, in partnership with Parks Canada and Alberta’s Kananaskis Country, is issuing a Special Public Avalanche Warning for recreational backcountry users, in effect immediately. 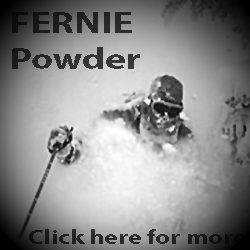 The warning is widespread and applies to all the forecast regions in western Canada. For a map of the regions involved, click here or see map below. 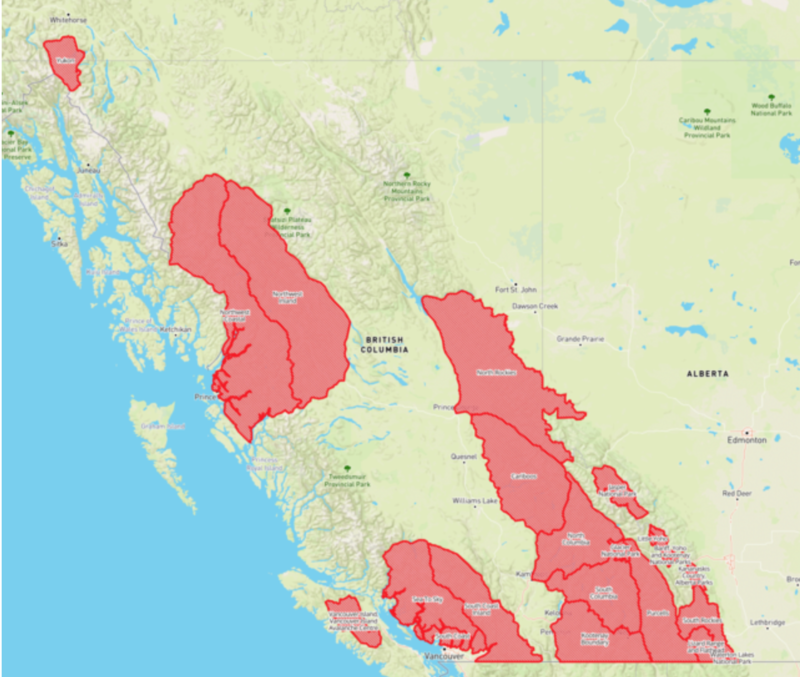 At issue is the significant warming forecast to hit BC and Alberta this week. 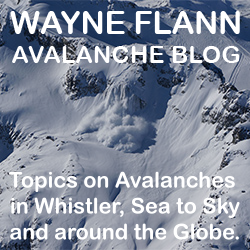 This dramatic temperature increase will increase the likelihood of avalanches throughout the mountains. 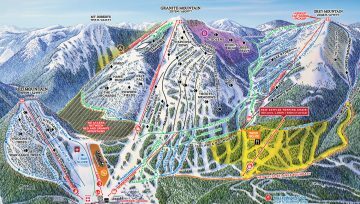 At the same time, with the warm weather and BC’s spring break, we expect to see more people heading into the mountains. 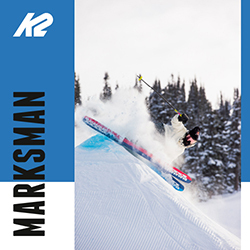 Avalanche Canada, Parks Canada and Kananaskis Country warns all backcountry users, including those going outside ski area boundaries, to keep careful track of their regional avalanche forecasts at www.avalanche.ca. 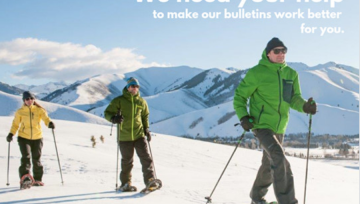 Everyone in a backcountry party needs the essential rescue gear—transceiver, probe and shovel—and the knowledge to use it. 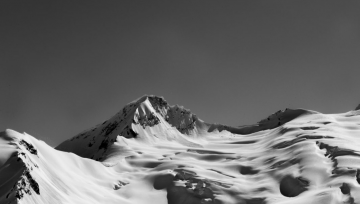 Ensure your party re-groups well away from avalanche slopes, including overhead hazard such as cornices. Sunshine, above seasonal temperatures and soaring freezing levels are store for British Columbia. The interior will see freezing levels peak today near 3000 metres and hang around the 3000 metre mark on Wednesday. The ridge will gradually translate eastward throughout the week, allowing for clouds to invade the coast on Thursday and the interior late Friday or Saturday. Freezing levels will lower to 1500-2000 metres over coastal ranges and approximately 2500 metres over the interior ranges. The upper ridge slows slides east through the middle of the week. A frontal wave associated with the low in the eastern Pacific will detach from the low late on Thursday. 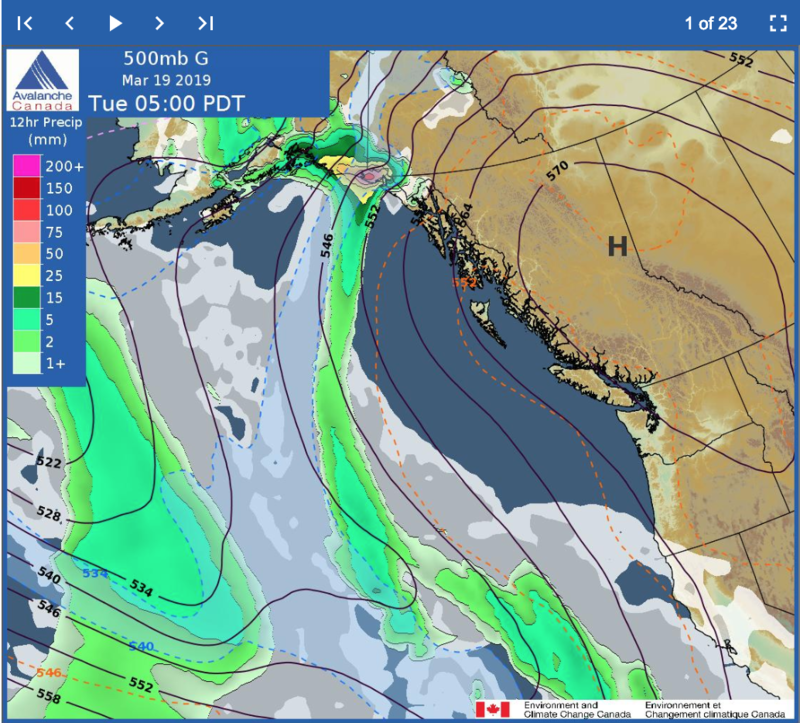 The frontal wave will move towards the BC coast and bring precipitation for Friday.